In honor of Rosalind Elsie Franklin who was born today in Britain in 1920. I would like to share a piece of my dna in the hopes that it will encourage others to seek their biological makeup. 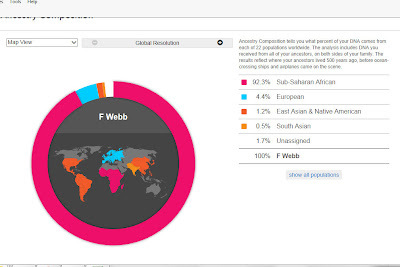 As expected and as celebrated I am mostly African with bits and pieces from other continents (included) within my family tree.